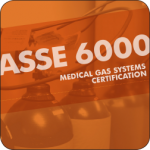 The ASSE 6000 Re-Certification Training Program was developed to satisfy the requirements of the ASSE 6000 Professional Qualification Standard. It is web based and self-paced, and the program content are all provided online. This training is suitable for ANY of the ASSE 6000 certifications for update and renewal. Upon completion of the (4) hour training program, the candidate must complete the final examination. The final examinations are administered by MGI Systems, Inc. through the MTS website. All scoring reports will be forwarded to Medical Testing Solutions for verification and issue of certificate. If the candidate is successful in passing the final examination, wall certificates and certification cards will be sent via mail to the re-certified individual. If you are currently an NITC certificate holder you must take the re-certifiation exam at an NITC testing center. The 4 hour training is not required for the NITC exam. However, the NTIC exam is based on the material presented in this training. If you are not up-to-date on the current codes and standards it is highly recommended you complete our program before sitting for the exam. If your certificate was not obtained through Medical Solutions or NITC please contact your certificate provider for renewal requirements. If you wish for Medical Testing Solutions to re-issue your certificate please contact us for further details. Prior to taking the final examination, you must complete all of the training modules provided. Once you have completed the training modules and are ready to take the exam please fax us your Final Exam Registration form. The final examination is a timed closed book online assessment that is made up of (50) multiple choice and true/false questions. Candidates are allowed one (1) hour to complete the examination. Once the final examination has begun, you will not be able to stop the exam. You must complete the entire exam. If you do not finish the exam once it has begun, all unanswered questions will be marked incorrect. The examination will terminate after the allowed one (1) hour mark. When the examination has been completed please fax us your Identity Affidavit Form. Candidates will receive his/her score once the final examination has ended. Candidates must answer (80%) or more of the questions correctly in order to achieve a passing grade.